North Wales is a good holiday cottage destination in the UK. There is beautiful scenery and beaches along the north Wales coast from Prestatyn, through Rhyl, Colwyn Bay, Llandudno, Caernarfon to the lovely Isle of Anglesey. Go slightly inland and there are Areas of Outstanding Natural Beauty where gently rolling hills are dotted with sheep. The mountains of Snowdonia and the Snowdonia national park provide spectacular panoramic views. The scenery can be a source of inspiration for photographers, painters, birdwatchers and anyone who likes nature and the great outdoors. 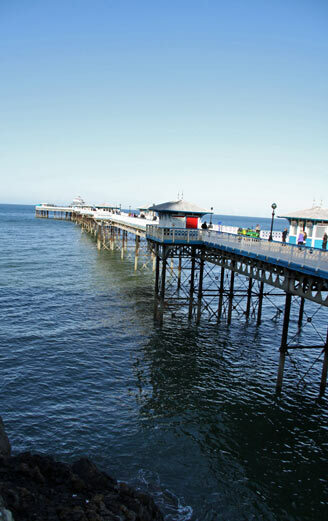 Holidays in north Wales can be tranquil or active depending on your inclinations and appeal to a wide range of ages. There are plenty of opportunities for activities such as walking, cycling, mountain biking, hang gliding, sailing, fishing, canoeing and orienteering. Pamper breaks are also available if you would like to relax with an aromatherpay message or beauty treatment. Rent a holiday cottage for a self catering break in north Wales and you can have the time of your life. We have cottage holidays of varying sizes and prices, all good quality and lovely. Come and take a look. No matter how hard we try we cannot pretend that north Wales is blessed with the best climate. There are days when it rains, the wind blows, when it's dull and grey and also those days when the sunblazes down and makes every tourist glad to be in north Wales. It's pot luck. Come prepared for every eventuality - bring your sun cream, sun glasses, sun hat, windbreak, umbrella and a good book.